Whitlow Dental Care offers a dynamic combination of advanced technologies in one convenient location. Many practices would refer you to several offices to accomplish the same care. The best that dentistry has to offer combined with personal service and down to earth discussion of your care will make your experience with Whitlow Dental Care unique from other practices. Here are just some of the wonderful techniques that we offer. Even the most fearful clients can say goodbye to the white-knuckle experience of going to the dentist. If you've avoided the dentist for years due to bad experiences in the past, you can now comfortably snooze through even the most complex care, thanks to sedation dentistry. Complex treatment that used to require many visits or even months of treatment can now be completed in as little as one single visit. Experience sedation dentistry just once and you will never be afraid to go to the dentist again! Say goodbye to feeling the dreaded anesthetic needle. We use a medical breakthrough that is a special medical grade anesthetic paste. It allows for less painful injections. Clients can't believe that they just had an injection. Dental Implants (Tooth replacement) The ultimate in dentistry. Dental Implants can replace missing teeth, bridges, dentures, and partial dentures for a return to natural chewing. For those with dentures or with missing teeth, this is the most life-changing service dentistry has to offer. Surgery and prosthetics performed in one convenient location (few offices can do this). Implants can help stop bone loss and facial changes related to missing teeth. They are an alternative to root canals in some cases. Implants reduce chances of further tooth loss over all other treatment options. If you need a full arch dental implant there are several levels available. Unlike traditional x-rays, the 3D X-ray allows for three-dimensional viewing of jaw bone, jaw joints, and sinuses. All films needed for surgery, joint problems, and routine care can be taken under the same roof without referral to a special facility (very few offices can do this). This allows for safer, more precise surgical planning. Dr. Whitlow has been serving the patients of our community for the last 29 years. He utilizes his extensive training and expertise to treat even the most challenging dental situations. In addition, he has instructed many other dentists inside and outside of his practice on the latest in dental implant techniques. 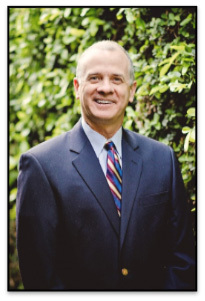 Dr. Whitlow attended California State University Fresno and received his bachelor's degree in 1984. He then graduated from University of the Pacific School of Dentistry in 1987. He is a Fellow of the International Congress of Oral Implantologists and a member of the Fresno Madera Dental Society, the California Dental Association, and the American Dental Association. Dr. Whitlow is also one of the only few hundred dentists in California to be board certified in I.V. Sedation. Dr. Whitlow has been using state-of-the-art equipment and techniques to enhance the lives of denture patients and those with debilitated teeth for over 25 years. Dr. Whitlow has done hundreds of full mouth and cosmetic dental rehabilitation. He has successfully placed thousands of dental implants. In addition, he has done hundreds of sedation cases for fearful patients and for those who want to have a lot of dental work done in one visit. Dr. Whitlow was born and raised in Fresno and is a third-generation dentist. Through the Christian Medical and Dental Association, he has made several trips to the Dominican Republic as well as locations here in the central valley to provide free dental care to people in need. In addition, Dr. Whitlow has hosted an annual giving back day at his office in conjunction with local charities to help patients with extreme dental needs. Dr. Whitlow has been married to his wife Janice for 32 years and has four adult children. His hobbies include snow and water skiing, hiking and the annual Bass Lake Triathlon. 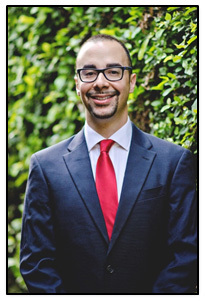 Dr. Boyd attended and received his bachelor's degree in 2008 from Occidental College in Pasadena, California. He then graduated from Howard College of Dentistry in 2012. Dr. Boyd has been part of the Whitlow Dental Care family since July 2013. He has a very calming personality that makes each visit comfortable and can put you at ease. He has been helping those in our community that have been frightened to have any dental work done. He has and can provide a very wide range of services from fillings to single implants and full mouth reconstructions. Dr. Boyd was born and raised in Salt Lake City, Utah. He has done several local and farming community events with the Christian Medical and Dental Association. He has also been a part of the giving back to the community day that Dr. Whitlow hosts in our office. Dr. Boyd enjoys spending time with his dogs, hiking in Yosemite National Park, and traveling home to see family and friends.